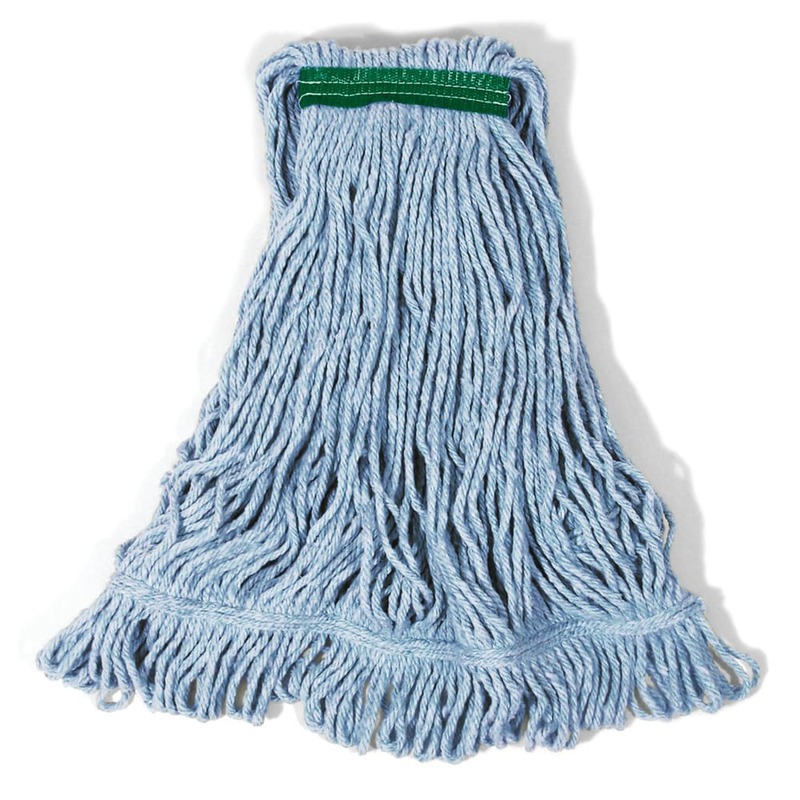 The Rubbermaid FGD21206BL00 Super Stitch® wet mop is a balanced blend of synthetic yarn and cotton with a 1-inch green headband. Looped ends do not lint, fray, or unravel like cut ends, and the blue material is 65 percent post-industrial cotton and 35 percent PET plastic. The yarn tailband enhances floor coverage and supports limited launderability. 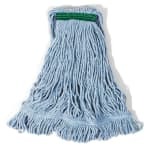 Visit our article on mop heads for more information.